Back with some more product reviews . With the onset of monsoon season we start worrying about Viral Fevers , Cold related problems and Mosquito Menace. To protect ourselves from mosquitoes we try various things like liquid vaporizers, sprays etc but in long run they are harmful to health as they are loaded with chemicals . 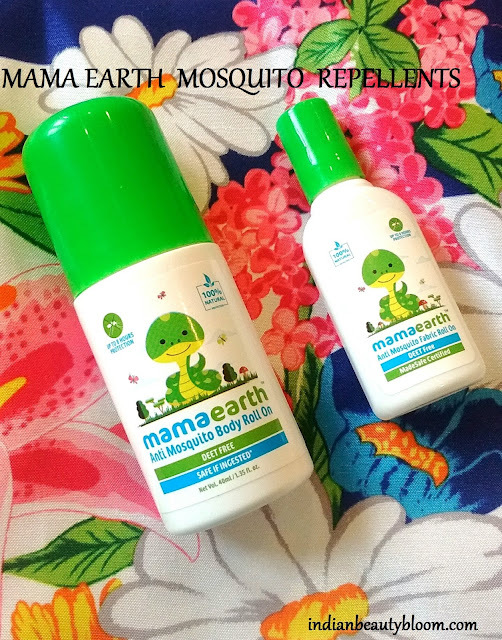 Mama Earth have come up with some effective Mosquito Repellents which are toxin free products. Today I will be reviewing two of its mosquito repellents . 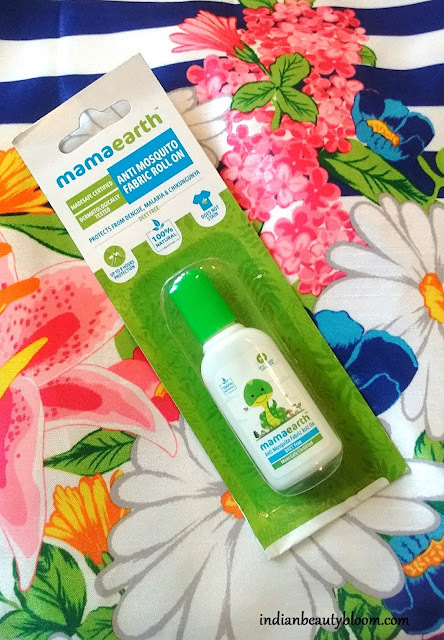 Mama Earth Anti Mosquito Body Roll on & Mama Earth Anti Mosquito Fabric Roll on . 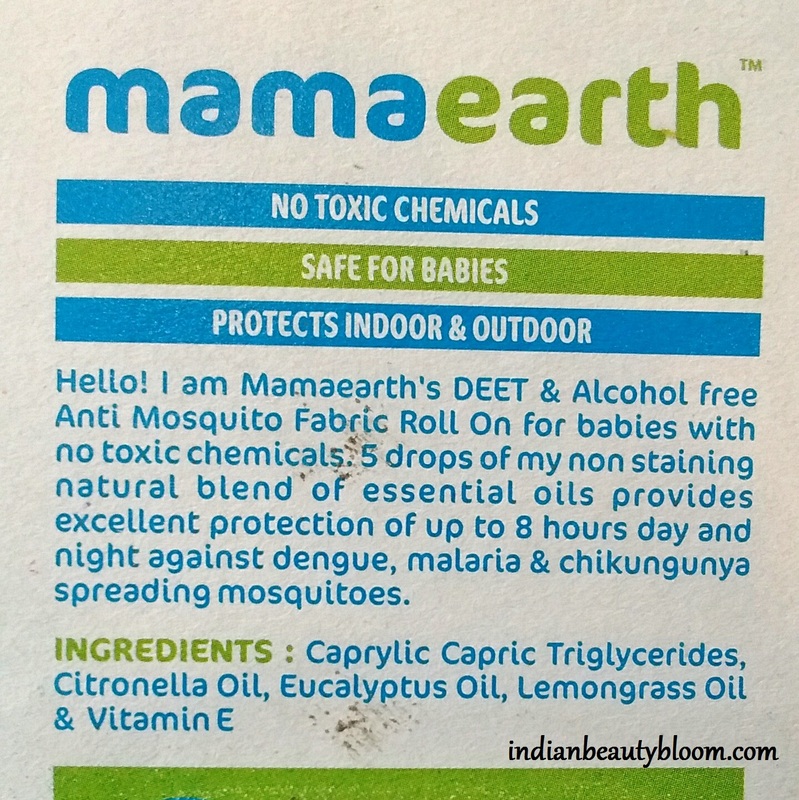 It’s a Fabric Roll on with Eucalyptus oil & Citronella oil and it gives 8 hours protection . One needs to apply this on fabric to keep mosquitoes away . 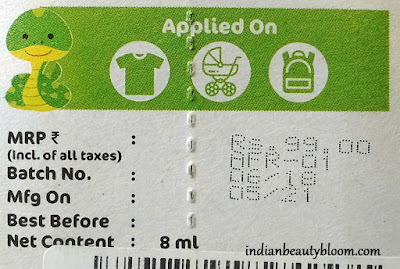 Product packaging is excellent , it’s a small bottle as since a roll on easy to apply on fabric . 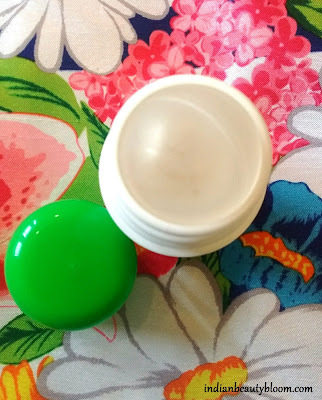 Price : Rs 99 for 8 ml pack . It’s a Body Roll on with Eucalyptus Oil , Lemongrass Oil , Lavender Oil and is effective upto 8 hours . 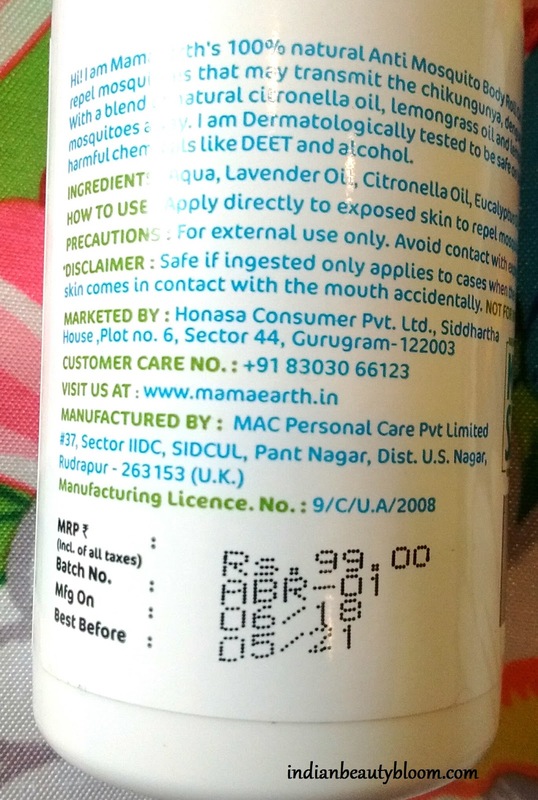 One needs to apply this directly on exposed areas like hands and feet . It’s effective in keeping mosquitoes away. Now available at a good discount . I am using both the products these days . * Both the products are effective in keeping mosquitoes away . 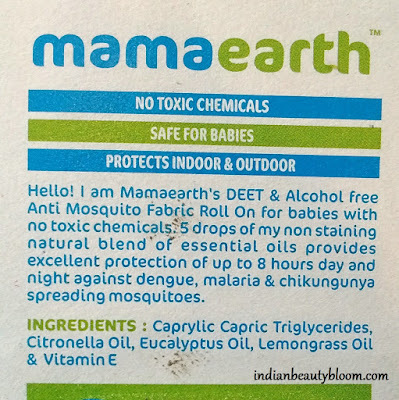 * Deet & Alcohol Free products . 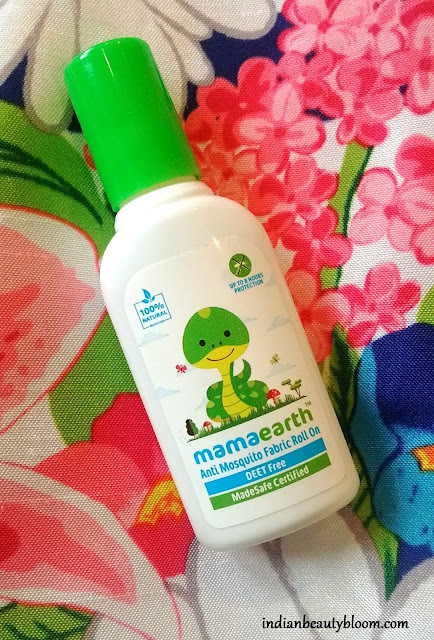 * Contains natural ingredients like Eucalyptus oil , Lemongrass Oil , Citronella Oil etc . * Nice Fragrance of Lemongrass . * Toxin free products and are gentle on skin . * Safe to be used even for small kids & toddlers . * Travel friendly pack . 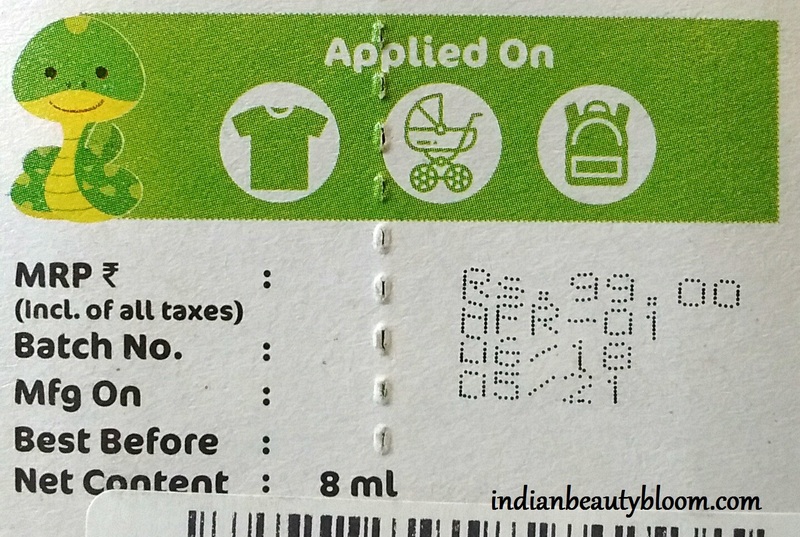 One can buy these products directly from their website or from online stores like Amazon . So do check these products and give a try to keep mosquitoes away and be healthy & safe. Linking up this post with Zainab & Neha for Monday Motivation . Do check their blog to know more .